Bedouin youth were angrier and more psychologically distressed than their Jewish counterparts by the rocket fire in November, according to a new Ben-Gurion University of the Negev study. It is the first follow-up study after the two weeks of rocket fire and subsequent Operation Pillar of Defense. Prof. Shifra Sagy, Dr. Sarah Abu-Kaf and Dr. Orna Braun-Lewensohn of the Conflict Management and Resolution Program interviewed 78 Jewish youths and 91 Bedouin youths from the South of Israel about their reaction to the barrage of rockets fired at the South by Hamas in Gaza. 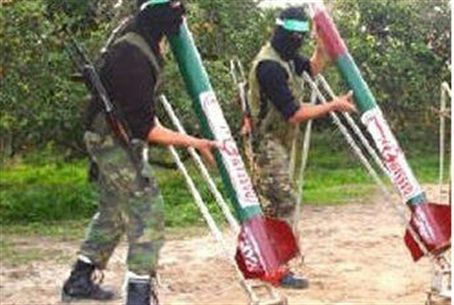 During the week of the war in late November, over 1,000 rockets were fired at Israel by Gaza Arab terrorists. Many of those rockets fell in open areas of the Negev - areas where Bedouin encampments were likely to be found. Thus Bedouins in southern Israel were in at least as much danger - perhaps more - than Jews and Arabs living in cities, where it was far more likely that the Iron Dome system would be used to shoot down rockets before they hit population areas. Many more Bedouin youth than Jewish youth also believed that Operation Pillar of Defense would have neither a short- nor a long-term effect on stopping the rockets, the researchers found. Conversely, the Bedouin youth were much more likely to believe that the Israeli-Arab conflict would be resolved peacefully than their Jewish counterparts, who believed that more wars and conflict were likely before peace could be achieved, the study showed. According to Sagy, one of the ways to prevent psychological distress is to have a high level of personal resilience, which is dependent on coherence – a psychological term referring to how one deals with the world cognitively, emotionally and behaviorally. Measurements of Bedouin youths’ coherence were lower than Jewish youths, “which would also explain their increased psychological stress,” explained Sagy.